Hifly MADD is back with a brand name change to Hejfly and an extra fin!!!!!!! When a twin fin is not enough go for 3!!!!! 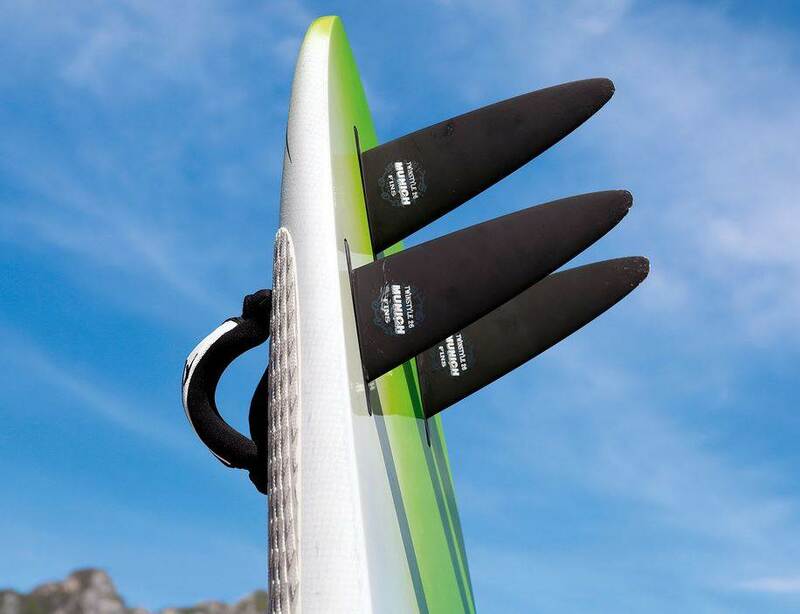 Longer narrower outlines and 3 fins means you will be able to get use of the New MUF Delta XT-50 in sizes 10 and 12! Looks like I will have to get some to try out! How did you get the previous ones you had? I bought one off you a few years ago, but I have another earlier one that I bought in NZ. It seems the distributor here for Hifly doesn't bother bringing in anything. I got them from various places....but Hifly closed down so no more Hifly boards. 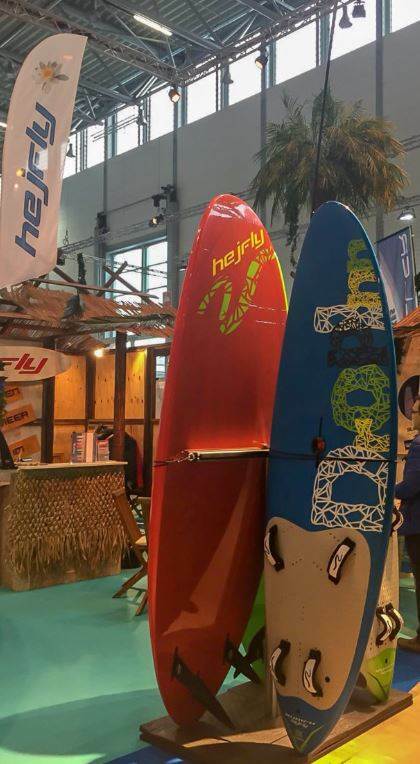 The company was restarted as Hejfly and I am importing them from Hejfly the production run has just started at cobra so I should get some in a few months. Okay, that makes sense. I have fun with these boards crossing shallow sandbars. 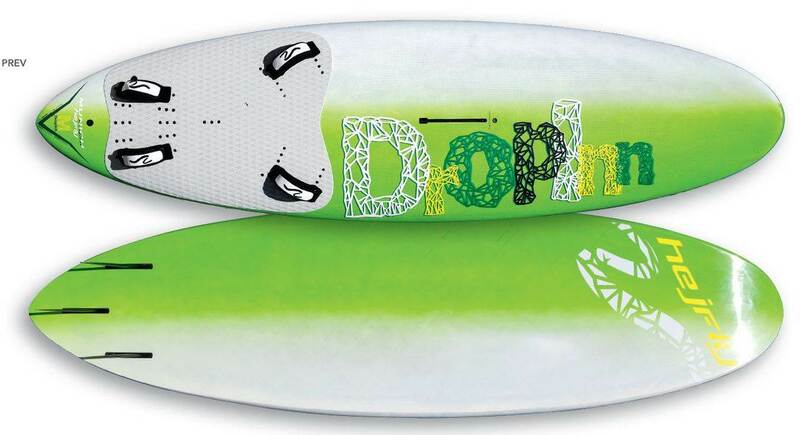 The twin fins let you get away with smaller fins, and if they are weed fins you have a little bit more forgiveness. I suspect I have been running these with too small fins sometimes, as I have had one spin spin-out while the other one is still laminar. Its a funny feeling. It is not just the size of the fin but the design of the fin as well some fins work really well as twins others do not. The new madd's come with carbon fins. 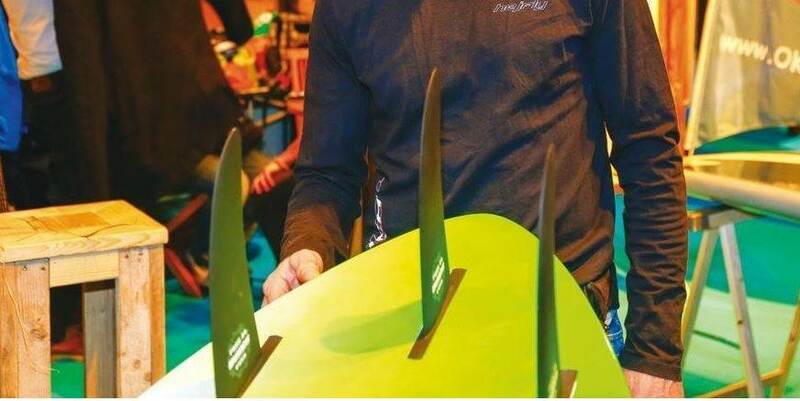 The other advantage of going for three fins is you can sail it as a single fin as well the board comes with 2 plugs to plug up the side fins. 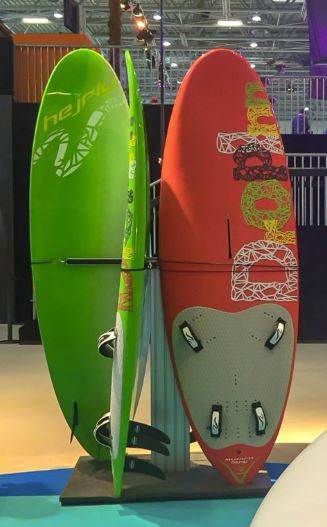 Been sailing the F2 Vegas twin fins for the last year which are very similar to the original Madd's but I now what to see how 3 fins will work also the longer narrower design should also help reduce the fin size needed. I have been running Lessacher fins (carbon) in mine for years now. I was able to use twin 23cm fins, but I generally use twin 28cm ones. The 23cms are just too short, and I think any separation from the water surface can get them to cavitate and then thats the end of it. The 28cms only seem to spin-out when I am trying to drive them hard. 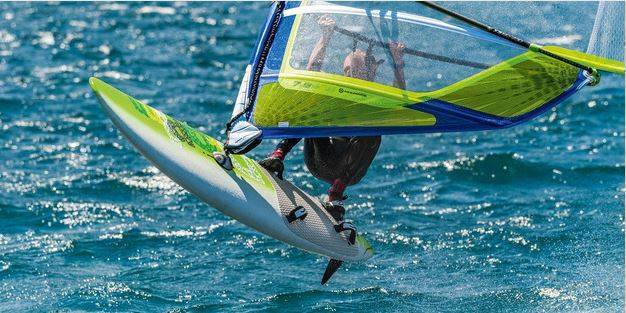 Its most pronounced when I am sailing in light winds with a big sail and I try and head too far upwind. The Hifly fins that I got with my first Madd are pointers and are relatively thin and don't seem to have too much surface area. I broke one, and haven't had the chance to compare them to the weed fins that I run now. I am using MUF Delta XT-50's in my F2 Vegas Twin fins because I need them for shallowness and weed. Use from size 16 up to size 20 there is a bit of spin out as you would expect from a delta but they are very easy to pull back. 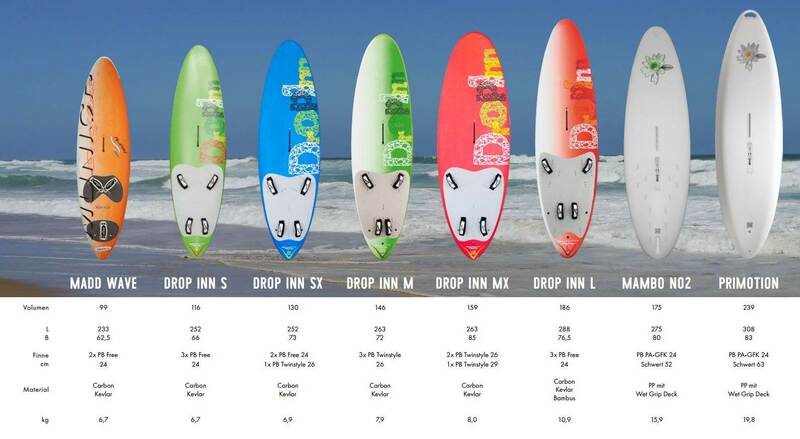 I have used the 16's om my 156 which is great for getting into the shallows but the board feels best with the 20's loads of grip and powers upwind. used 18's on my 146 and 126.